The humble hot water heater is one of the innovation world’s unsung heroes. Where would we be without it? Imagine freezing cold early morning showers – not even a great prospect in the summer months, let alone in the depths of a Sydney winter. The convenience of hot water on standby in the kitchen, compared with having to boil a kettle or heat a saucepan every time you needed it. Hot water is definitely high on life’s list of essentials. Put simply, hot water is a significant user of household energy, second only behind space heating and cooling. The bathroom accounts for more than half of the average household’s hot water usage, with around a third in the laundry and the rest in the kitchen. It pays to ensure that you have the most appropriate system to suit your needs. 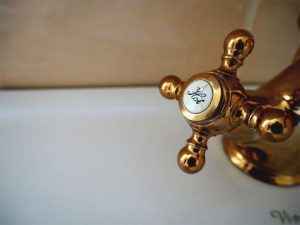 Hot water units generally have a lifespan of around 10 years; after that, it’s time to seriously consider a replacement. Check the label on your system for the manufacture date and you can start to plan for the inevitable. When that time comes, whether you’re renovating or faced with a broken unit, you’ll have a myriad of buying options to consider – electric, gas, solar, continuous flow, instantaneous … there are many options on the market. So how do you choose? Here’s our buying guide to hot water heaters, to help you decide what’s best for your household and budget. How much hot water do you think your household uses? Ausgrid has a fantastic free calculator tool that lets you input your household size and usage details and estimate the cost of hot water in your home. You can compare how your current system stacks up against a different type of hot water system. Click here to access the calculator. Choices are all good and well, but at the end of the day you need to buy what you can afford. It’s smart to work out your budget beforehand, so you know what ballpark you’re playing in. There’s no point making extensive investigations into a certain type of system if it’s cost prohibitive to your situation – whether you’re replacing or as a part of a larger renovations project. You will need to consider not just the cost of the actual hot water unit, but also the installation, running and maintenance costs. If you do your research, you’ll find that some types of hot water units are eligible for grants or rebates too. As a starting point, you’ll need to choose between gas or electric storage and gas continuous flow hot water systems. Storage systems are the traditional hot water heater tanks that sit outside your house or in a cupboard or laundry. They hold and heat a set number of litres, usually between 25l and 400L. If you have a household of four people and you’re the last to shower, you may find yourself running out of hot water, because with the storage system, once the hot water is used up, it takes time to heat the new water in the tank. On the other hand, a continuous flow hot water system heats up the water as it’s used, meaning that you basically never run out of hot water. The system itself is considerably smaller – about the size of carry on luggage. Electric, gas or solar? There are pros and cons to each of the three main energy sources for hot water so it’s important to have an understanding of your household usage first. Electric systems can be the most affordable to start but look into tariffs and rates to assess long term value with off-peak or time-of-use options. For gas you need to consider if you have access to natural gas or whether your existing gas service will cope with the added demand. Solar is the most energy efficient but has additional considerations like access to unshaded roof space, being in the correct aspect and it’s generally more expensive to supply and install than the other options. Where in your house can you locate your hot water system? There are more options that you might realise: inside the home, outside the home, on the roof, or even a combination of these. It’s important to note that the closer the hot water system is to the bathroom, the shorter the pipe lengths needed to get it to the part of the house that uses it the most and therefore less time is required to get hot water to the fixture. It is also worth mentioning that recent legislation mandates all new hot water systems installed need to be limited to a maximum hot water delivery temp of 50 degrees. Only continuous flow hot water units come pre-set with this temperature requirement, while storage units require a tempering valve to be installed at the hot water system on installation. The Bear Plumbing team is fully qualified and highly experienced in hot water units. We can assess your unit and replace where necessary. We can either provide a straight swap of your existing services, or we can look at moving from one energy source to another. We also cover hot water units for commercial premises. So, if your hot water is on the blink and you’ve had one of those horrible cold water experiences on a recent winter morning, or if you’re renovating and thinking it’s time for an upgrade, call the Bear team to help you with your hot water system.